I like how you are focusing on relationships. I love your last lines: So, I am having a relationship issue with this color-I am pretty sure we need to break up. Nothing personal, it's not you, it's me… What a clever way to reflect on trying something new. I like the sparkle! I had the same issue with some new sparkly "Jamberry" nails a friend gave me. I tried them and thought "I'm a mom, I can't wear glitter." But by the end of the week, they made me feel happy! Enjoy the sparkle....btw love the color too! I see what you mean about the glitter, but it is pretty. I like the idea of writing every day around a theme...like relationships. Your comparison to a cheerleading competition really helped me visualize the amount of glitter on your nails! I also turn to my nails for a little pick-me-up in the midst of the winter doldrums. However, it is my toenails that receive the attention. For some reason I just can't keep my fingernails looking decent long enough to make it to the nail salon. Getting a pedicure in winter is like my own secret little sign of the hope of warmer weather to come. I am currently rocking a lovely hot pink on my toes, seen only by me. I'm so happy to see you participating and writing slices! Your relationship pieces make me stop and think and this one lets me know nail polish season is right around the corner. 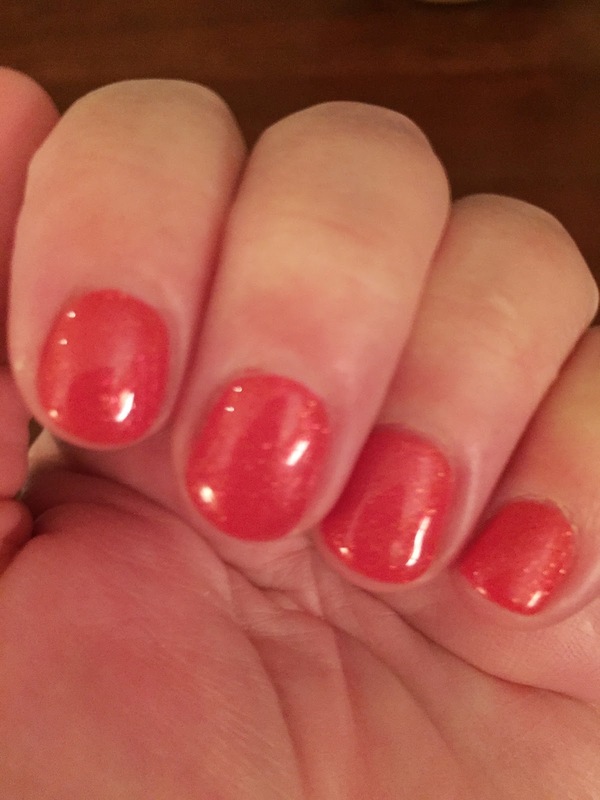 Guess what I used a similar color for my toenails with glitter - seemed like a better place for me to hide my desire for warmer temps. My husband asked, "what did you do to your toes?" I had a similar feeling.